After we presented you all the current trends concerning wedding dresses, hairstyles and jewelry the last time (http://www.perfectweddingitaly.com/wedding-trends-2015/), today’s post will involve everything about colors, invitation cards and decoration. From pastel shades and bright red over lovely DIY projects and Bohemian styles: there are no limits to the imagination and we are sure, there will be something for everyone! For wedding dresses, especially pastel shades are highly popular! But what about colors in general, for example in terms of decoration? Also in this respect, pastel shades are one of the trends. In addition, there will be a huge number of other nice colors: from navy or royal blue over purple and pink to bright red: the possibilities are virtually endless! Also rose gold will remain a popular color, not only for the rings. For those who like it simpler, we can recommend neutral colors such as brown, beige or crème. Also the classical white is becoming more and more popular again – not only for the wedding dress but also for cakes, decoration or even the clothes of your guests. The color of the year (according to Pantone) however will be “marsala” – a brownish red which evokes the Italian wine which it is named for. DIY projects were the trend of 2014 – a fact that will not change in 2015! Creative save-the-date cards, personalized decoration, e.g. in the vintage style, or nice, self-made direction signs: the possibilities are endless and the focus mainly lies on individualism and attention to details. In addition, there is one thing you will find above all: flowers! 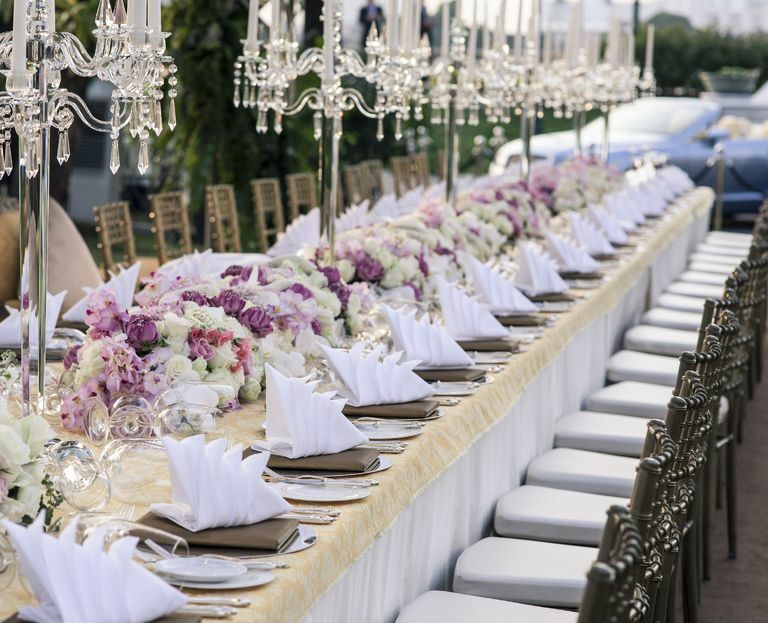 They have always been a traditional part of the wedding decoration, however they will become even more popular in the future: opulent bridal bouquets, floral backdrops, floral garlands and flowers on the walls, chairs and railings – they will be the decoration element of the year. Especially hydrangeas are perfectly suited for this kind of opulent floral decoration. The reason for this immense use of flowers is amongst others the Bohemian trend, which has already been popular in 2014 and will remain for 2015. Especially for symbolic weddings, that are becoming more and more popular and can be designed very individually, this trend is perfectly suited. Further you will find an endless number of lovely DIY projects that consider this style. However, in comparison to the past year, the boho trend will become a little more elegant: colors like white, black and blue will be commonly used for the Bohemian style. Nice examples for typical Bohemian elements are opulent floral bows or loosely bound bouquets with lovely details such as ribbons, feathers or the like.